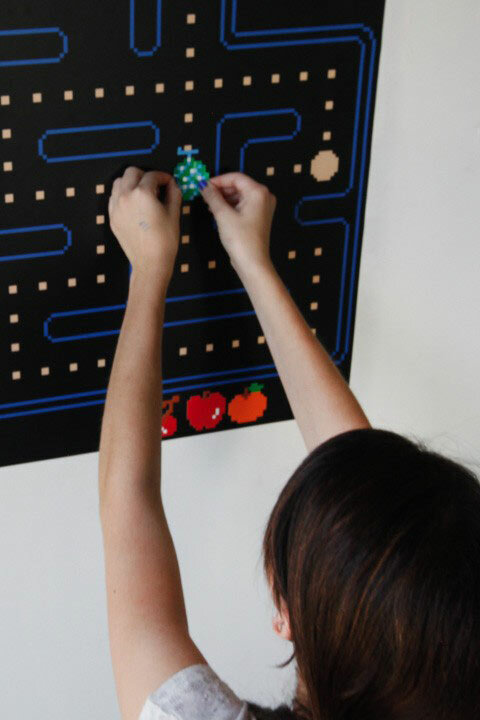 Keep your coins and let the screen come to your walls with this Giant Pac-Man Wall Sticker. 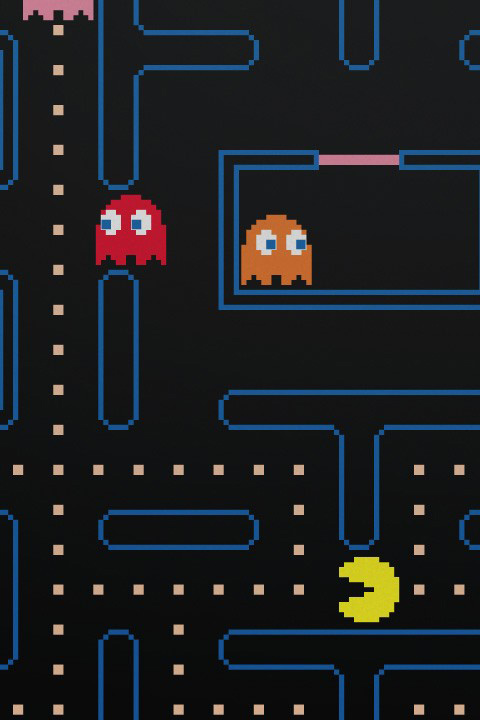 The most popular arcade video game in the world is now all yours! 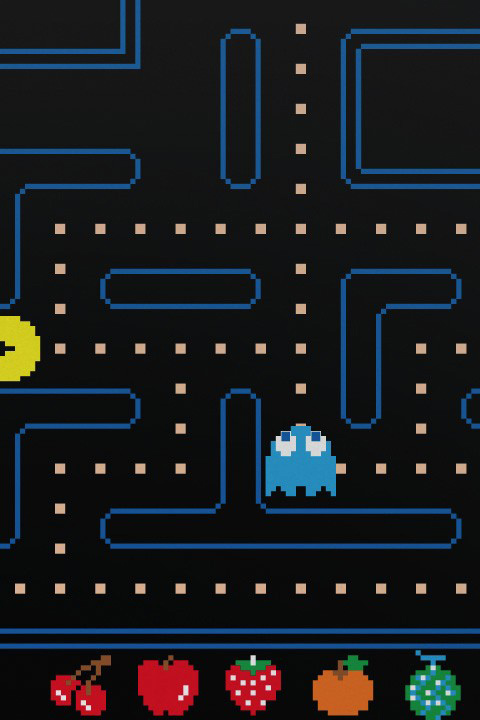 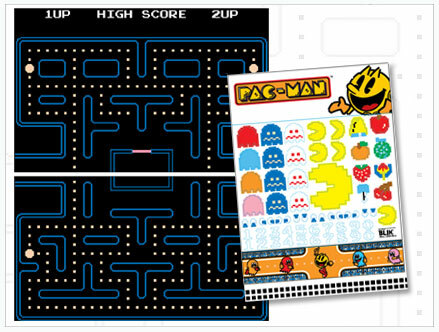 Build your very own track by placing black covers over the pellets gobbled-up by Pac-Man and place the Ghosts and fruits where ever you want! 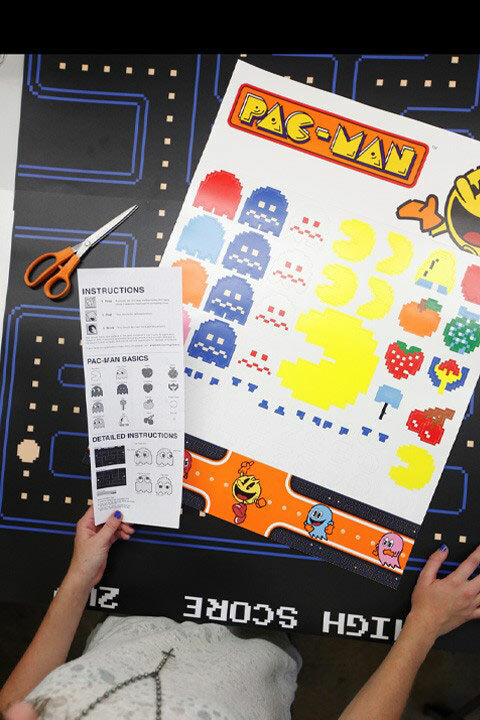 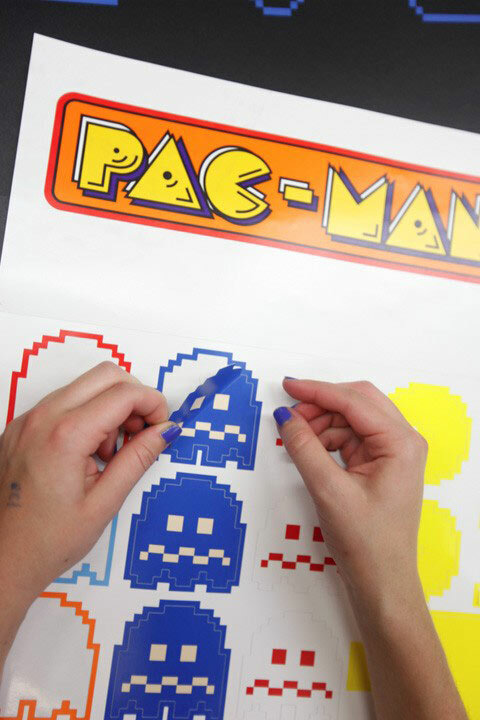 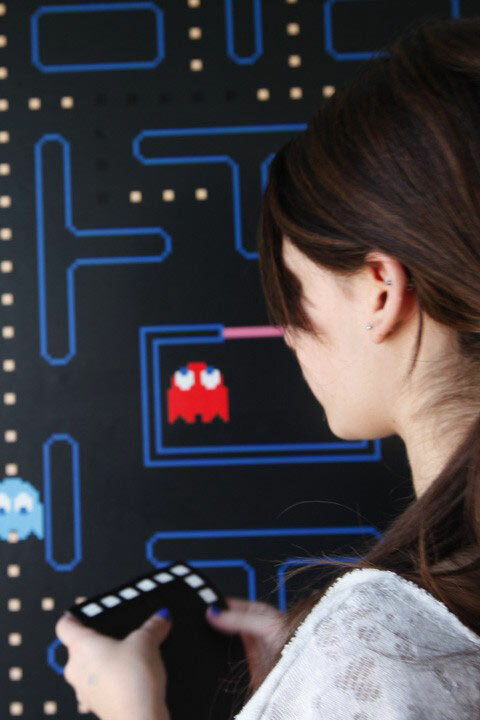 Based on 8bit graphics from the original arcade version of PacMan, these giant wall stickers will transform any room in minutes with a retro-geek feel. 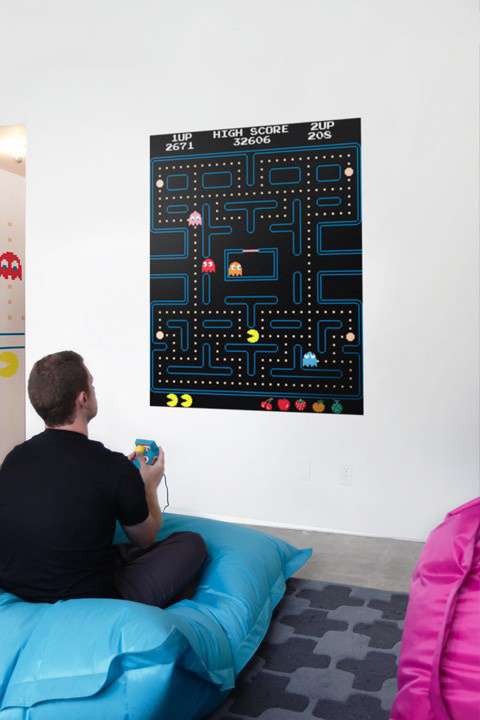 Our PacMan Wall Stickers are officially licensed Namco products. 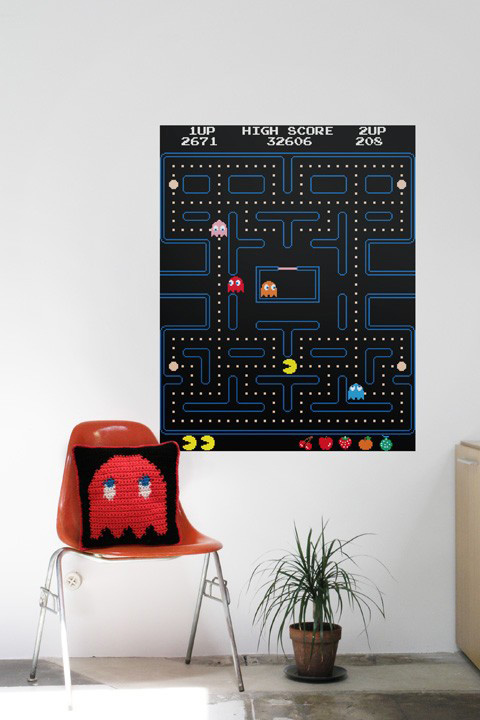 54.95 Stock: SOLD OUT - Limited Edition.